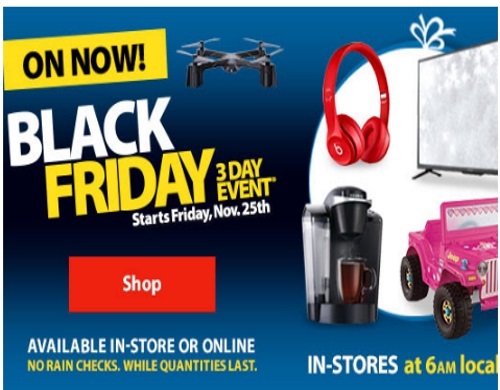 Walmart's Black Friday Event is on now! Save in-store and online during their 3 Day Event! Get your Christmas shopping done online! Offers start Friday, November 25 online and in-store at 6am local time! Click here to browse Walmart Black Friday.